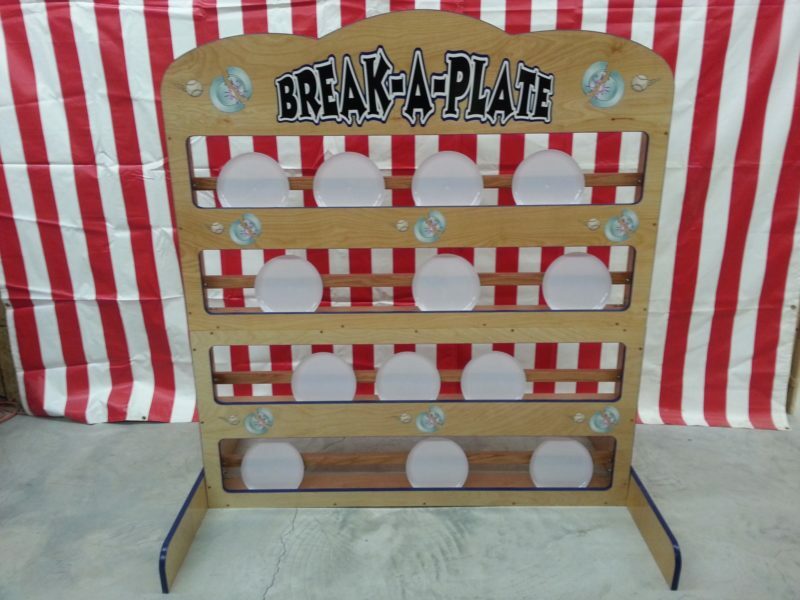 Break A Plate Carnival Game - Hit A Plate Win A Prize. breakable plates & 4 dead baseballs. Top and bottom tier bolt together for easy transport.